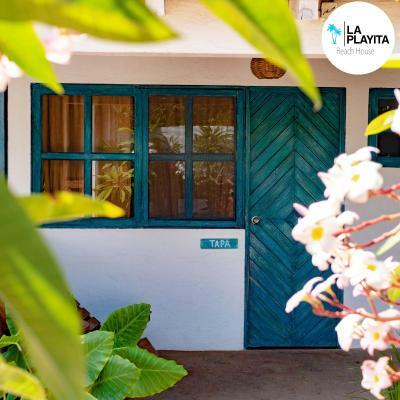 Lock in a great price for La Playita Beach House – rated 9.2 by recent guests! A fantastic find! 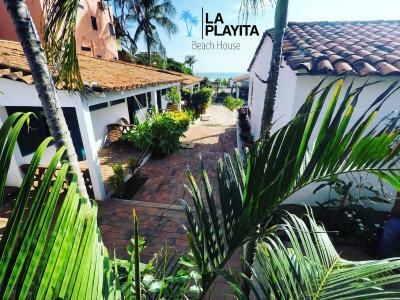 La Playita Beach House is located steps from the ocean and in a quiet stretch beyond “the strip”. The vibe is tranquil, welcoming, and relaxed. Staff (the lovely Belen) gave us a great orientation to the common areas that include a very well designed shared kitchen, lots of comfy couches & chairs for relaxing, and a bar where refreshments are stocked & ready for purchase at reasonable prices on an “ honour system “ basis. Our room was very clean, and we enjoyed our little private terrace overlooking the pool. Staff were always available for questions and we got great restaurant recommendations. Highly recommend La Playita! Excellent location and a very chill experience. Really wonderful staff. Outdoor kitchen where you can cook while looking at the beach and pool. All in all a very authentic experience. A very interesting thing was that other guests were very nice as well with no obnoxious and annoying people. The hotel is very pretty. I loved the style, location views and the pool. It is perfect to relax. That it was in an area not so crowded. It had an easy walk to get to it along the main road. Ana, that worked the desk was very helpful, also spoke English fairly well, to help with travel arrangements etc. The pool and atmosphere was relaxing and just what we wanted! The staff is super helpful and nice. The place has a very relaxed and cool atmosphere. It has a great location. It’s a fantastic place!! 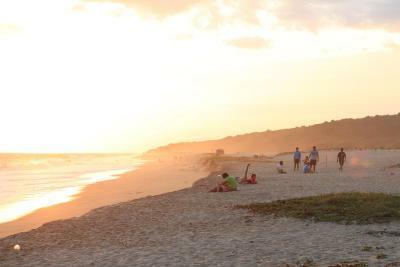 One of our best sellers in Puerto Escondido! 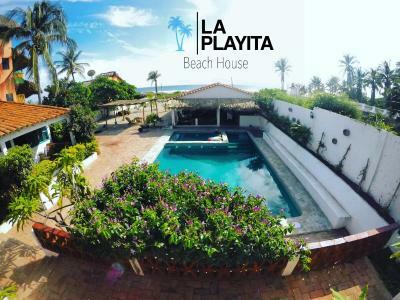 La Playita Beach House is located in Puerto Escondido, a 10-minute walk from Zicatela Beach, and has an outdoor swimming pool. 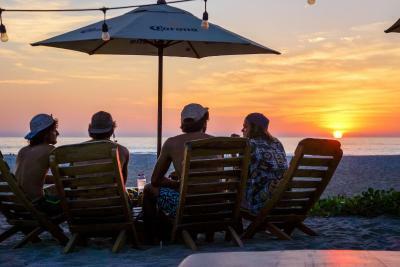 The property is around 1.6 miles from Commercial Walkway and 2.1 miles from Downtown Puerto Escondido. 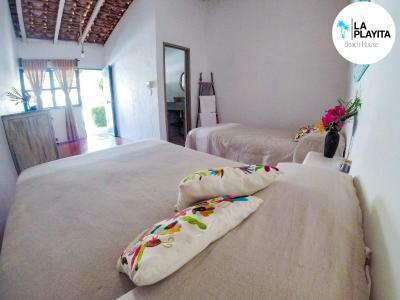 The guesthouse provides sea views, a terrace, and free WiFi is available. At the guesthouse, all rooms include a balcony with a pool view. The private bathroom is equipped with a shower. 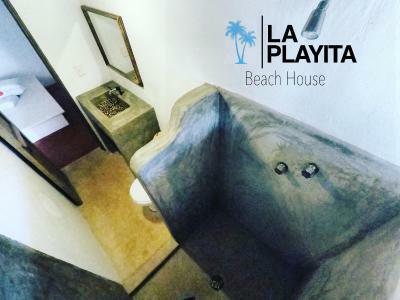 At La Playita Beach House every room is equipped with a seating area. Carrizalillo Beach is 2.7 miles from the accommodation. 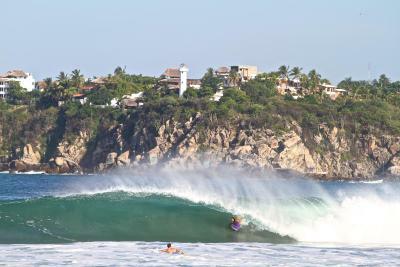 Puerto Escondido International Airport is 4.1 miles from the property. 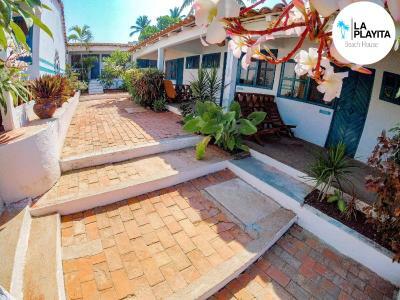 This property is also rated for the best value in Puerto Escondido! Guests are getting more for their money when compared to other properties in this city. 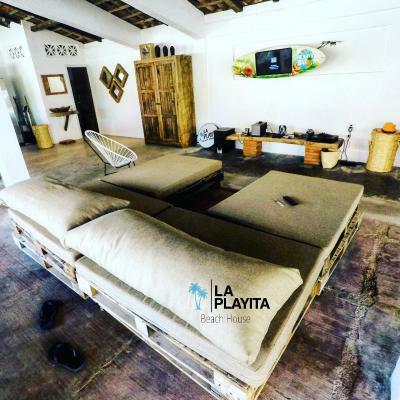 When would you like to stay at La Playita Beach House? This double room has a private entrance. 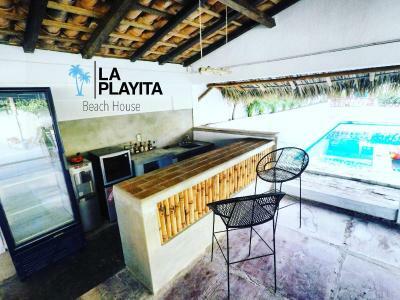 House Rules La Playita Beach House takes special requests – add in the next step! Please note that the property does not allow pets. 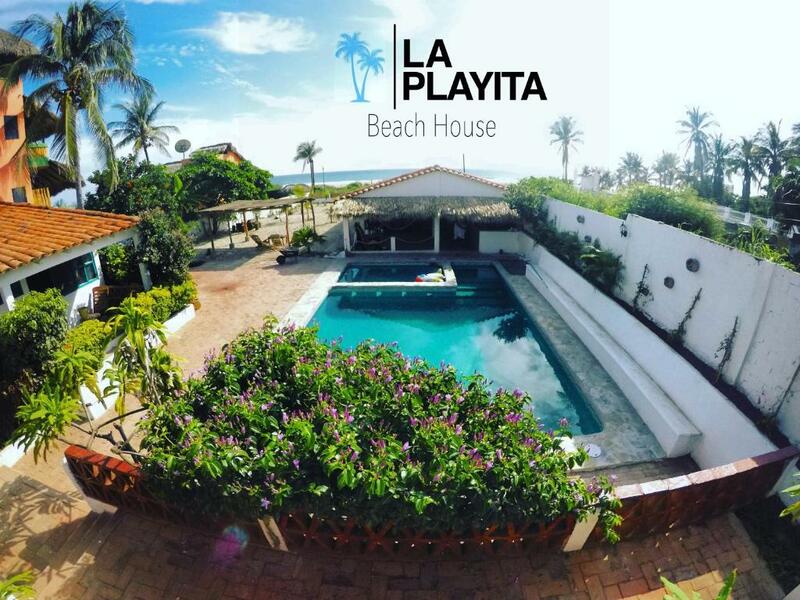 Please inform La Playita Beach House of your expected arrival time in advance. You can use the Special Requests box when booking, or contact the property directly using the contact details in your confirmation. Be aware that you have to pay in cash. The room we had had only one funcional charger out of 2 in total. Only a fan and no air condition. The bed was really uncomfortable. You can people hear clearly talking from other rooms. The nice location of the hotel is awesome. You are almost right in front or the beach and the personal is very nice and helpful. The place has a kitchen to be used by everyone and a small mini bar where you take stuff like beer, water etc. Also they offer tours from other companies (e.g. bioluminiszent tours). It was all great! No complains. Everything was amazing! Great rooms, great little yard with pool and right at the beach. Close to many restaurants. It’s rustic so not for everyone. Friendly staff and easygoing set up. 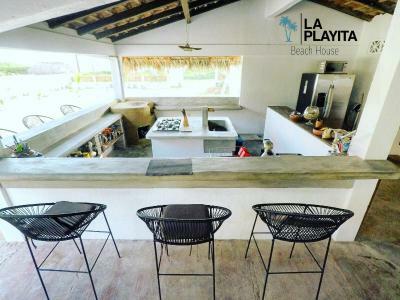 La playita Beach house is the perfect place to fully relax and unwind. We really loved this place and it's spirit. We felt totally looked after and Morgan recommended us some beautiful places. Thanks again for everything. We will definitely come back! I really liked how laid back La Playita was. Quiet, easy listening background music in the common areas. Lots of different areas to sit snd relax. Very clean rooms, pool and common areas. Rustic and well decorated. Honour bar came in handy. A few blocks from the noise of the main Zicatela bar/restaurant area. Felt safe walking at night. Can easily walk to La Punta or to Playa Principal. Would definately stay again. Really liked the common area, clean shared kitchen, pool, very nice staff, accommodating our needs. The location outside the super busy Zicatela beach area. Thank you Morgan! While the decor is very eco, this place serves Keurig coffee and doesn't compost or recycle. That is ridiculous for a place on the beach and made us feel very negative. Also, the staff was grumpy and there was noisy music late at night next door. Nice pool and sitting areas.